Even though most of the veterinary equipment is the ‘same as’ human medical equipment, there are significant differences in the veterinarian’s approach to healthcare. Acura Medical Systems Inc. has been servicing veterinary medical equipment and repairing vet equipment since our inception. From animal hair clippers to anesthesia machines and vaporizers, and from electro-surgery generators to patient monitoring systems, including specialized equipment like the Snyder ICU unit; we have your practice covered. 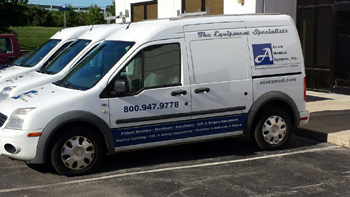 We also install, maintain, and repair medical gas systems and components found in busy veterinary practices.Veterinary Equipment Repair and Vet Equipment Service in Ohio Michigan Indiana Kentucky Virginia – Call us today we offer loaner equipment quick, professional service for your veterinary clinic equipment.